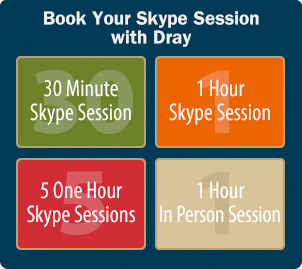 Welcome to the The Dray Way (“The Dray Way” or “we” or “us”) website at http://thedrayway.com and other affiliated websites (the “Website”). Products, Content, Specifications and Accuracy of Information: We attempt to ensure that information on this Website is complete, accurate and current. Despite our efforts, the information on this Website may be inaccurate, incomplete or out of date. We make no representation as to the completeness, accuracy or currentness of any information on this Website. All features, content, specifications, products, services, and prices of products and services described or depicted on this Website are subject to change at any time without notice. Certain thedraywaymeasurements and similar descriptions are approximate and are provided for convenience purposes only. We make all reasonable efforts to accurately display the attributes of our products, including the applicable colors. The actual color you see, however, will depend on your computer system and we cannot guarantee that your computer will accurately display such colors. The inclusion of any products or services in this Website at a particular time does not imply or warrant that those products or services will be available at any time. While it is our practice to confirm orders by email, the receipt of an email order confirmation does not constitute our acceptance of an order or our confirmation of an offer to sell a product or service. We reserve the right, without prior notice and in our sole and absolute discretion, to limit the order quantity on any product or service, to refuse service to any customer and/or to refuse access to the Website by any visitor or customer. We also may require verification of information prior to the acceptance and/or shipment of any order. All materials provided on the Website, including but not limited to information, documents, products, logos, graphics, sounds, images, compilations, content and services (“Materials” or “Content”), are provided either by The Dray Way or by respective third party authors, developers or vendors (“Third Party Providers”) and are the copyrighted works of The Dray Way and/or its Third Party Providers (or is permitted/licensed to be used by Third Party Providers), unless specifically provided otherwise. Except as stated herein, none of the Materials may be modified, copied, printed, reproduced, distributed, republished, performed, downloaded, displayed, posted, transmitted and/or otherwise used in any form or by any means, including but not limited to electronic, mechanical, photocopying, recording, or other means, without the prior express written permission of The Dray Wayand/or a Third Party Provider. Also, you may not “mirror” or “archive” any Materials contained on the Website on any other server withoutThe Dray Way’s prior express written permission. Except where expressly provided otherwise by The Dray Way, nothing on the Website shall be construed to confer any license or ownership right in or to the Materials, under any of The Dray Way’s intellectual property rights, whether by estoppel, implication, or otherwise. You acknowledge sole responsibility for obtaining any such licenses. See the “Legal Contact Information” section below if you have any questions about obtaining such licenses. Materials provided by Third Party Providers have not been independently reviewed, tested, certified, or authenticated in whole or in part by The Dray Way. The Dray Way does not provide, sell, license, or lease any of the Materials other than those specifically identified as being provided by The Dray Way. The Website may contain links or have references to websites controlled by parties other than The Dray Way. The Dray Way is not responsible for and does not endorse or accept any responsibility for the contents or use of these third party websites. The Dray Way is providing these links to you only as a convenience, and the inclusion of any link does not imply endorsement by The Dray Way of the linked website and/or the content and materials found at the linked website, except as specifically stated otherwise by The Dray Way. It is your responsibility to take precautions to ensure that whatever you select for your use is free of viruses or other items of an intrusive nature. Except where expressly provided otherwise by The Dray Way, all comments, feedback, information and data submitted to The Dray Waythrough, in association with or in regard to the Website and/or any other The Dray Way goods or services (“Submissions”) shall be considered non-confidential and The Dray Way’s property. This may not include copyright ownership of images which you may upload, but does include an express license to use said images in any method The Dray Way sees fit and make compilations and derivative works thereof in all media now known or hereafter devised. By providing such Submissions to The Dray Way, you agree to assign to The Dray Way, as consideration in exchange for the use of the Website, all worldwide rights, title and interest in copyrights and other intellectual property rights to the Submissions except as expressly enumerated in the preceding sentence. You represent that you have the right to grant The Dray Way these rights. The Dray Way shall be free to use and/or disseminate such Submissions on an unrestricted basis for any purpose. You acknowledge that you are responsible for the Submissions that you provide, and that you, not The Dray Way, have full responsibility for the Submissions, including their legality, reliability, appropriateness, originality and copyright. If you are under the age of 18, you must have your parent or legal guardian set up your account and have them agree to the following terms. If you are under the age of 18, your parent or legal guardian’s consent to these terms is ongoing and they hereby warrant that they will review these terms for changes, and if any occur, that they will be amenable thereto until you reach age 18, at which point you hereby give your consent to these terms. Furthermore, to the extent any user under the age of 18 makes a Submission of copyrighted materials heretofore, their parent or legal guardian hereby grants The Dray Way all rights to utilize the copyright and image / likeness embodied therein as further enumerated in this Agreement. All Submissions must be true, and in accordance with the rights of privacy and publicity and all federal, state and international law. You may not upload an image or any likeness of another without their consent (or the consent of their parent or guardian if they are under the age of 18). If you do so, The Dray Way reserves the right to cancel or suspend your account. Furthermore, The Dray Way reserves the right to cancel or suspend your account, if in its sole discretion; it believes you are using The Dray Way for improper purposes, or any purpose inconsistent with its business. TO THE EXTENT ALLOWED BY LAW, IN NO EVENT SHALL THE AGGREGATE LIABILITY OF The Dray Way EXCEED $1,000.00. IN NO EVENT SHALL The Dray Way OR THE THIRD PARTY PROVIDERS BE LIABLE TO ANYONE FOR ANY INDIRECT, PUNITIVE, SPECIAL, EXEMPLARY, INCIDENTAL, OR CONSEQUENTIAL DAMAGES, OR FOR ANY DAMAGES to your computer, telecommunication equipment, or other property and/or FOR LOSS OF DATA, CONTENT, IMAGES, REVENUE, PROFITS, USE OR OTHER ECONOMIC ADVANTAGE, ARISING OUT OF, OR IN ANY WAY CONNECTED WITH THIS AGREEMENT, INCLUDING BUT NOT LIMITED TO THE accessing or USE of, OR INABILITY TO USE, THE WEBSITE AND THE SERVICES ASSOCIATED THEREWITH including but not limited to the downloading of any materials, REGARDLESS OF CAUSE, WHETHER IN AN ACTION IN CONTRACT OR NEGLIGENCE OR OTHER TORTIOUS ACTION, EVEN IF THE PARTY FROM WHICH DAMAGES ARE BEING SOUGHT OR THE THIRD PARTY PROVIDER HAVE BEEN PREVIOUSLY ADVISED OF THE POSSIBILITY OF SUCH DAMAGES. THE LIMITATION OF LIABILITY SET FORTH IN THIS SECTION SHALL NOT APPLY IN THE EVENT OF CUSTOMER’S BREACH, OR RELATED TO ITS INDEMNITY OBLIGATIONS. THIS PARAGRAPH SHALL NOT AFFECT THE RIGHTS LISTED BELOW IN THE SECTION TITLED “INDEMNITIES”. To the extent you purchase any goods and/or services from The Dray Way, you agree to pay for all goods and services ordered from The Dray Way and/or its Third Party Providers except as set forth in a writing signed by an authorized representative of The Dray Way. You will provide The Dray Way with valid and updated credit card or approved purchase order information and with complete and accurate billing and contact information. If you provide credit card or other authorized payment method information to The Dray Way, you authorize The Dray Way, or a credit card processor of its choosing to bill such credit card or to make such charges as applicable. If The Dray Way, in its sole and absolute discretion, permits you to make payment using a method other than a credit card or other authorized payment method, The Dray Way will invoice you at, or within a reasonable period of, the time of the purchase request. All amounts invoiced hereunder shall be due within thirty (30) days of the date of the invoice. Each party represents and warrants that it has the power and authority to enter into this Agreement. The Dray Way warrants that it will provide the Website and all goods and services in a manner consistent with its business practices, as The Dray Way, in its sole and absolute discretion, deems fit. To the extent that you represent an entity of any type or any individual besides yourself, you represent and warrant that you have the proper authority to enter into this Agreement their behalf. EXCEPT WHERE EXPRESSLY PROVIDED OTHERWISE BY THE DRAY WAY, THE MATERIALS ON THE WEBSITE ARE PROVIDED “AS IS,” AND ARE FOR USE AS CONTRACTED HEREIN. EXCEPT FOR THE EXPRESS WARRANTIES SET FORTH HEREIN, The Dray Way AND ITS THIRD PARTY PROVIDERS HEREBY DISCLAIM ALL EXPRESS OR IMPLIED REPRESENTATIONS, WARRANTIES, GUARANTIES, AND CONDITIONS WITH REGARD TO THE WEBSITE, THE MATERIALS, AND THE GOODS AND SERVICES ASSOCIATED THEREWITH INCLUDING BUT NOT LIMITED TO ANY IMPLIED REPRESENTATIONS, WARRANTIES, GUARANTIES, AND CONDITIONS OF MERCHANTABILITY, FITNESS FOR A PARTICULAR PURPOSE, TITLE AND NON-INFRINGEMENT, AND QUALITY OF GOODS AND SERVICES EXCEPT TO THE EXTENT THAT SUCH DISCLAIMERS ARE HELD TO BE LEGALLY INVALID. The Dray Way AND ITS THIRD PARTY PROVIDERS MAKE NO REPRESENTATIONS, GUARANTIES OR WARRANTIES REGARDING THE RELIABILITY, AVAILABILITY, TIMELINESS, QUALITY, SUITABILITY, TRUTH, ACCURACY OR COMPLETENESS OF THE website and the GOODS, SERVICES AND/OR MATERIALS ASSOCIATED WITH THE WEBSITE, OR THE RESULTS YOU MAY OBTAIN BY accessing or USING THE WEBSITE AND/OR THE GOODS, SERVICES AND/OR MATERIALS ASSOCIATED THEREWITH. WITHOUT LIMITING THE GENERALITY OF THE FOREGOING, The Dray Way AND ITS THIRD PARTY PROVIDERS DO NOT REPRESENT OR WARRANT THAT (A) THE OPERATION OR USE OF THE WEBSITE OR MATERIALS WILL BE TIMELY, SECURE, UNINTERRUPTED OR ERROR-FREE; (B) THE QUALITY OF ANY PRODUCTS, SERVICES, INFORMATION, OR OTHER MATERIAL YOU PURCHASE OR OBTAIN THROUGH THE WEBSITE WILL MEET YOUR REQUIREMENTS; OR (C) THE GOODS, SERVICES, MATERIALS, OR THE SYSTEMS THAT MAKE THE SERVICES AND WEBSITE AVAILABLE ARE FREE OF VIRUSES OR OTHER HARMFUL COMPONENTS. YOU ACKNOWLEDGE THAT NEITHER THE DRAY WAY NOR ITS THIRD PARTY PROVIDERS CONTROL THE TRANSFER OF DATA OVER COMMUNICATIONS FACILITIES, INCLUDING THE INTERNET, AND THAT THE WEBSITE AND SERVICES AND/OR MATERIALS ASSOCIATED THEREWITH MAY BE SUBJECT TO LIMITATIONS, DELAYS, AND OTHER PROBLEMS INHERENT IN THE USE OF SUCH COMMUNICATIONS FACILITIES. THE DRAY WAY IS NOT RESPONSIBLE FOR ANY DELAYS, DELIVERY FAILURES, OR OTHER DAMAGE RESULTING FROM SUCH PROBLEMS. EXCEPT WHERE EXPRESSLY PROVIDED OTHERWISE BY THE DRAY WAY, THE WEBSITE AND THE GOODS, SERVICES AND/OR MATERIALS ASSOCIATED THEREWITH ARE PROVIDED TO YOU ON AN “AS IS” BASIS. THE DRAY WAY EXPRESSLY DISCLAIMS ANY WARRANTY RELATED TO THE QUALITY OF GOODS AND/OR SERVICES AND THE PERSONS OR BUSINESSES REFERENCED ON THE WEBSITE. YOU USE THIRD PARTY PROVIDERS AND AFFILIATED SERVICES AT YOUR PERIL AND ASSUME ALL RISKS RELATED TO USE OF SAID THIRD PARTY PROVIDERS AND SERVICES. You shall defend and indemnify The Dray Way and its Third Party Providers against any and all claims, costs, damages, losses, liabilities and expenses (including attorneys’ fees and costs) finally awarded against The Dray Way or its Third Party Providers by a court of competent jurisdiction arising out of or in connection with a claim by a third party related to you. The Dray Way shall have no indemnification obligation or other liability for any claim of infringement arising from (a) use of the Website and/or the goods, services or Materials associated with the Website other than in accordance with this Agreement; (b) the combination of the Website and/or the goods, services or Materials associated with the Website with any other products, services, or materials; or (c) any third party products, services, or materials. You will comply with all applicable local, state, national and foreign laws, treaties, regulations and conventions in connection with your use of the Website, including without limitation those related to data privacy, international communications, and the exportation of technical or personal data from locations other than the location from which The Dray Way controls and operates the Website and services associated therewith. Furthermore, you expressly agree not to violate any rights of publicity or privacy of any person, nor defame any person or entity. The Dray Way may give notice by means of a general notice on the Website, electronic mail to your e-mail address on record in The Dray Way’s account information, or by written communication sent by first class mail or pre-paid post to your address on record in The Dray Way’s account information. 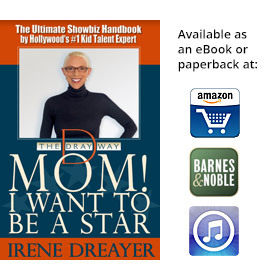 You may give notice to The Dray Way at any time by letter sent to info@thedrayway.com or by letter delivered by registered mail with return receipt to: The Dray Way, 1948 Malcom Avenue #202, Los Angeles, CA 90025. All notices shall be deemed to have been given four days after mailing or 36 hours after sending by confirmed facsimile, email or posting to the Website. Any action related to this Agreement will be governed by California law and controlling U.S. Federal law. No choice of law rules of any jurisdiction will apply. Any disputes, actions, claims or causes of action arising out of or in connection with this Agreement or the Website shall be subject to the exclusive jurisdiction of the state and federal courts located in Los Angeles, California and to arbitration as stated herein. At the request of The Dray Way, any controversy or claim related to this Agreement (“Claim”) may be resolved by arbitration in accordance with the Federal Arbitration Act (Title 9, U. S. Code) (the “Act”). The Act will apply even though this Agreement provides that it is governed by the laws of California. Arbitration proceedings will be determined in accordance with the Act, the rules and procedures for the arbitration of financial services disputes of JAMS/Endispute, LLC, a Delaware limited liability company or any successor thereof (“JAMS”), except that discovery in said arbitration shall be limited in scope to the specifics of liability on the Claim, and any discovery related to damages calculations or any financials shall be withheld until after liability has been decided by the arbitrator(s). In the event of any inconsistency between the JAMS rules and this paragraph, the terms of this paragraph shall control. The arbitration shall be administered by JAMS and conducted in Los Angeles, California. All Claims shall be determined by one arbitrator; however, if Claims exceed Five Million Dollars, upon the request of The Dray Way, the Claims shall be decided by three arbitrators. All arbitration hearings shall commence within ninety (90) days of the demand for arbitration and close within ninety (90) days of commencement and the award of the arbitrator(s) shall be issued within thirty (30) days of the close of the hearing. However, the arbitrator(s), upon a showing of good cause, may extend the commencement of the hearing for up to an additional sixty (60) days. The arbitrator(s) shall provide a concise written statement of reasons for the award. The arbitration award may be submitted to any court having jurisdiction to be confirmed and enforced. The arbitrator(s) will have the authority to decide whether any Claim is barred by the statute of limitations and, if so, to dismiss the arbitration on that basis. For purposes of the application of the statute of limitations, the service on JAMS under applicable JAMS rules of a notice of Claim is the equivalent of the filing of a lawsuit. Any dispute concerning this arbitration provision or whether a Claim is arbitrable shall be determined by the arbitrator(s). The arbitrator(s) shall have the power to award legal fees pursuant to the terms of this Agreement. This paragraph does not limit the right of The Dray Way to: (i) exercise self-help remedies, such as but not limited to, setoff; (ii) initiate judicial or nonjudicial foreclosure against any real or personal property collateral; (iii) exercise any judicial or power of sale rights, or (iv) act in a court of law to obtain an interim remedy, such as but not limited to, injunctive relief, writ of possession or appointment of a receiver, or additional or supplementary remedies. In the event of any dispute (whether or not arbitrated), the prevailing party shall be entitled to reasonable costs and attorneys’ fees. This Agreement represents the parties’ entire understanding relating to the use of the Website and supersedes any prior or contemporaneous, conflicting or additional, communications. The Dray Way reserves the right to change these Terms or its policies relating to the Website at any time and from time to time, and such changes will be effective upon being posted herein. You should visit this page from time to time to review the then current Terms because they are binding on you. Certain provisions of these Terms may be superseded by expressly designated legal notices or terms located on particular pages of the Website, which may be posted from time to time. Your continued use of the Website after any such changes and/or postings shall constitute your consent to such changes. If any provision of this Agreement is held by a court of competent jurisdiction to be invalid or unenforceable, then such provision(s) shall be construed to reflect the intentions of the invalid or unenforceable provision(s), with all other provisions remaining in full force and effect. No joint venture, partnership, employment, or agency relationship exists between The Dray Way and you as a result of these Terms or use of the Website. You may not assign this Agreement without the prior written approval of The Dray Way. Any purported assignment in violation of this section shall be void. The Dray Way reserves the right to use Third Party Providers in the provision of the Website and/or the goods, service and/or Materials associated therewith. The failure of either party to enforce any right or provision in this Agreement shall not constitute a waiver of such right or provision unless acknowledged and agreed to by such party in writing. In the event of any litigation of any controversy or dispute arising out of or in connection with this Agreement, its interpretation, its performance, or the like, the prevailing party shall be awarded reasonable attorneys’ fees and expenses, court costs, and reasonable costs for expert and other witnesses attributable to the prosecution or defense of that controversy or dispute. Any and all rights not expressly granted herein are reserved by The Dray Way. Elements of the Website are protected by copyright, trademark, trade dress and other laws and may not be copied or imitated in whole or in part. No logo, graphic, sound or image from the Website may be copied or retransmitted unless expressly permitted by The Dray Way. The The Dray Way trademarks and/or other The Dray Way identifiers referenced herein are trademarks of The Dray Way and/or its affiliates, and may be registered in certain jurisdictions. Copyright © 2010 The Dray Way All rights reserved.